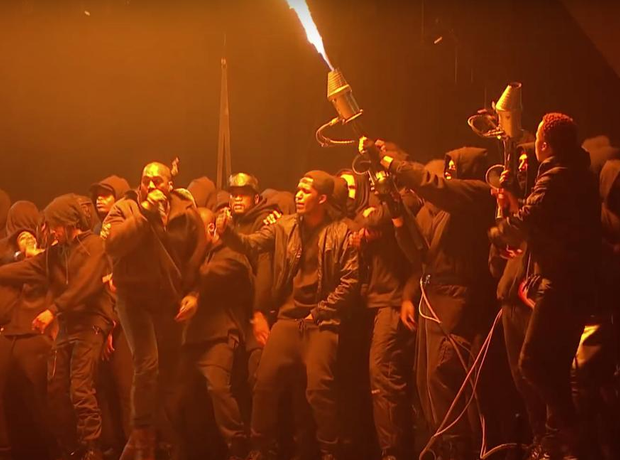 Kanye West brought out a number of Grime MCs and UK rappers at the 2015 BRIT Awards. 19. Kanye West brought out a number of Grime MCs and UK rappers at the 2015 BRIT Awards. Kanye West shocked fans when he brought out Skepta, Giggs, Stormzy, Krept & Konan and more at the BRIT Awards. The epic performance became the official video for Kanye West's single 'All Day'.